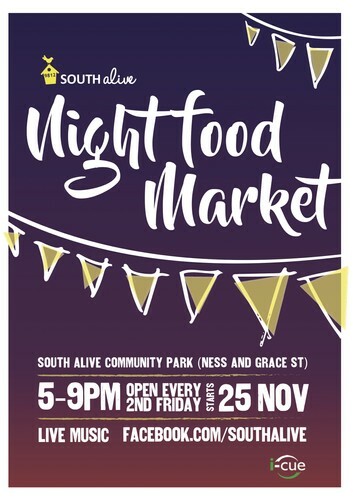 South Alive Night Food Markets are launching this summer in the South Alive Community Park. The Market will run on Friday evenings fortnightly from 5pm - 9pm, with the first market on Nov 25th. Come down for a family-friendly event with delicious, unique food vendors and enjoy some music, rain or shine. Dishes are priced at $10 or less, cash only.